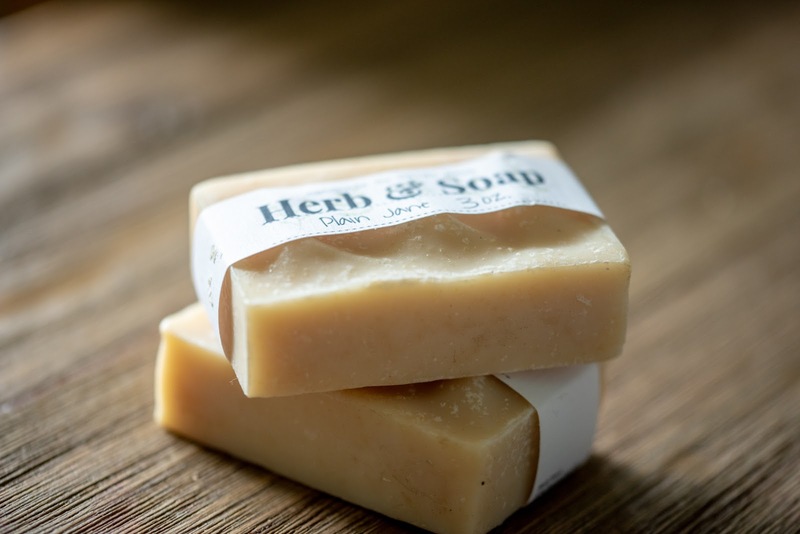 Now serving up cold process high super fat Michigan goat milk and Mooville cow milk soaps that are handmade! Beautifully handcraft artisan luxury soaps that I made my self. Moisturizing, exfoliating, and natural. 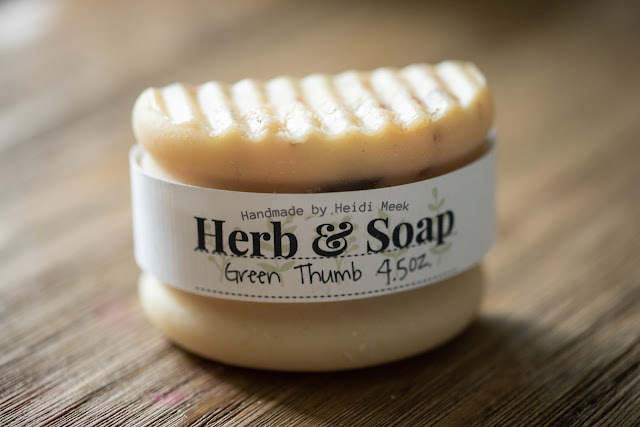 Lots are made with essential oils and natural herbs and even more using fragrance oils and incorporating fun botanical ingredients. I put a lot of love and care into every small batch of soap that I make. I also handcraft beeswax balms using essential oils. 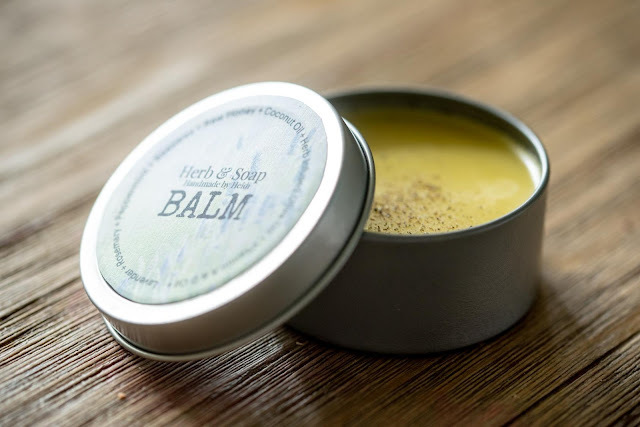 Balms are good for the skin, hair and beard. 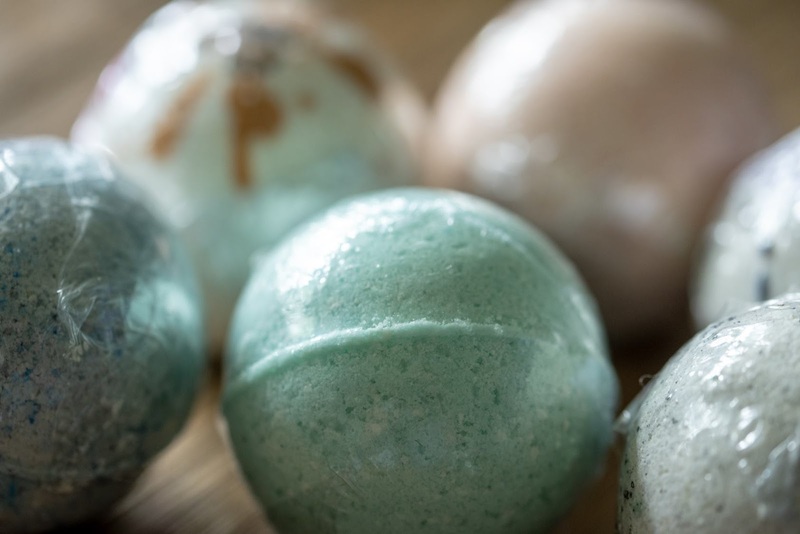 Bath bombs are available in a variety of scents! Seasonally I come out with new home canned jams and jellies which sell very well. I just know you will enjoy my products and invite you to shop. Now through the end of July 2018 I am offering FREE shipping with any $20+ order. Father's Day 2018 is just about here (17th!). 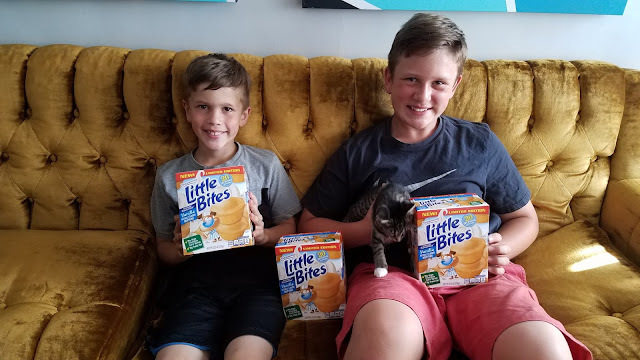 Entenmann's Little Bites wants to thank dads for all that they do. They are giving away Entenmann's Little Bites ties and a coupon to purchase the delicious snack to ten lucky dads! Five even luckier dads will win a tie, coupon, AND a $100 Amazon gift card! All you have to do is log on and enter to win HERE. 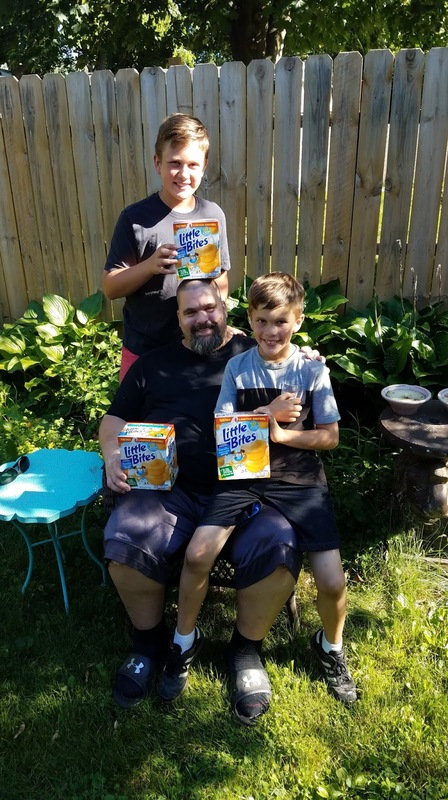 Just in time for Father's Day, what better way to have some fun than play some games. You can create a delicciously edible "hole-in-one" featuring Entenmann's Little Bites Vanilla Muffins! View the Little Bites Hole-In-One Father's Day Fun DIY video HERE for step-by-step instructions. There is also a NEW Little Bites rewards program! If you buy 10 five-count boxes and send in your receipt via text message, you can get 1 FREE. 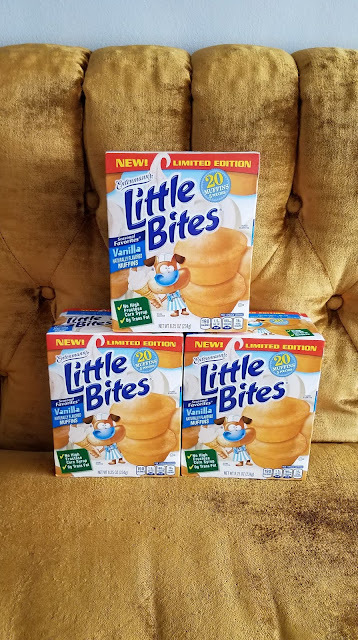 To begin just text the message "Little Bites" to 811-811, email to redeem@rewards.littlebites.com or visit http://rewards.littlebites.com. Ends July 1st 2018 at 12 am EST. Must be 18 or older to enter. 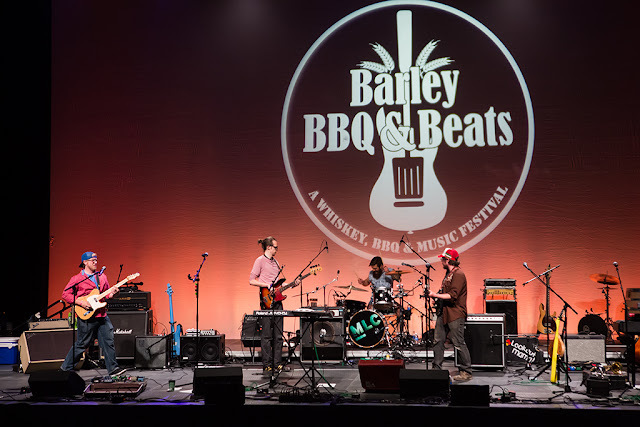 Guests will enjoy their choice of three BBQ servings and three hand-crafted cocktail tastings with each ticket. Additional tasting tickets will be available at the event. Gluten and dairy-free options, as well as vegan selections, will also be available. 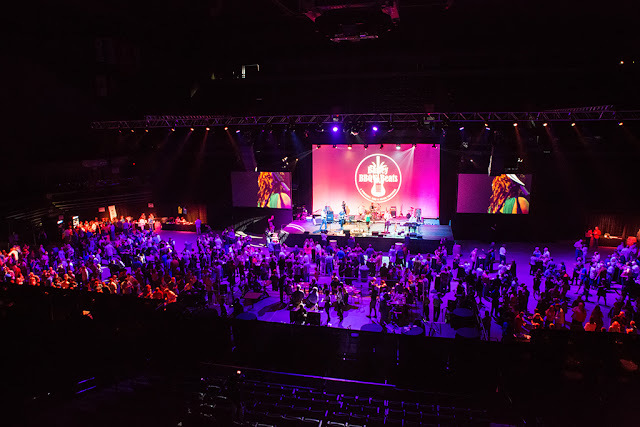 Guests will enjoy an array of west Michigan’s best live music to dance the night away including performances by Domestic Problems, Mid-Life Crisis, Big Dudee Roo and The Fast Hands Band. Guests will also be invited to pay tribute to a deceased loved one by posting a photo or sharing a memory in the long passageway leading into the field. Visit www.hom.org/BBB2018 for more information. Event sponsors include: Betz Industries, CareLinc Home Medical Equipment & Supply and Meijer – Smokehouse Sponsor; Vista Springs, Fiftth Third Bank, Hansen Balk Steel Treating and US Signals – Barbecue sponsor; Belknap Hill Trading Post, WOOD Radio and Universal Forest Products, Inc. – Barley sponsors; Ace Vending Services, Inc., Thomas P. Sarb and Ruth Ann Brevitz, LeeAnn Clay, Mercy Health, Metro Health: University of Michigan Health, Pioneer Construction, Specialty Metal Fabricators, Inc. ,The Meijer Foundation, Van Dellen Steel, Inc. and Wolverine Worldwide – Beats Sponsor; Applied Imaging, Hon. Sara J. Smolenski and Linda Burpee, Jim & Judy Czanko, Dan Vos Construction, Forest Hills Foods, George & Barbra Gordon, Huntington National Bank, Michigan Association of CPAs, Samaritas Senior Living, The Score and Weingartz – Backyard BBQ Sponsor. To secure sponsorship, please contact rkiesling@HOM.org or 616-356-5229. GIVEAWAY! 2 tickets to the festival Giveaway ends 5/12 @ 12 am EST. New 1 lb Smoked Chop at Smokey Bones! I am not being paid for this post. The opinions expressed in this post are my own. I was treated to a meal at Smokey Bones to help facilitate my post. 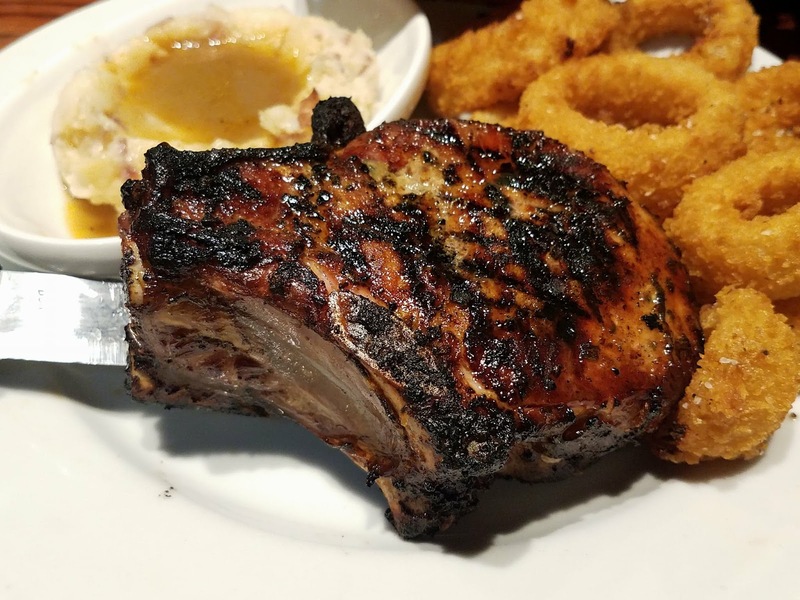 This right here is the new 1 lb pork chop from Smokey Bones Bar Fire & Grill! 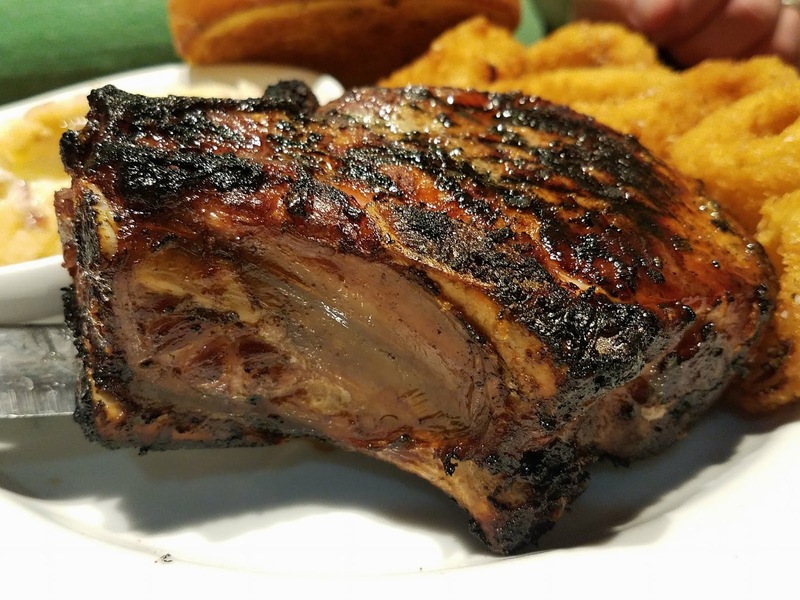 It is a thick double cut bone-in chop that has been sweet brined for 24 hours, then slow smoked and grilled to juicy perfection. My husband and I were both able to enjoy this first hand and it was superb. They cooked it a bit more well done than I prefer so next time I am going to ask to have it cooked more on the medium rare or medium side but that was no biggie. Even at well done it was so tender and the flavor is out of this world. It comes with garlic toast and 2 sides of your choice. 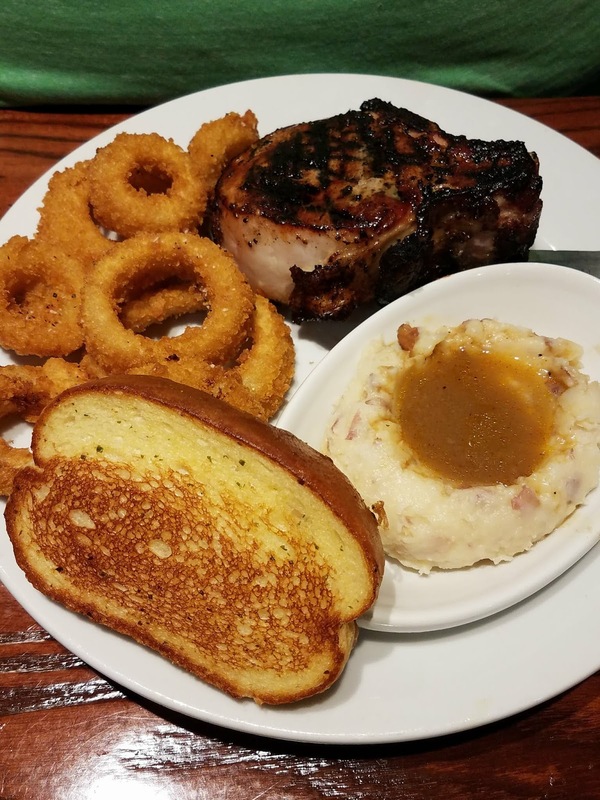 I picked onion rings and mashed potatoes with gravy. It was a heavenly meal and we left feeling so satisfied. It's a must try for sure. I can't stop thinking about this one! I'm thinking of Father's Day and how Dad would probably REALLY love to go out for one of these! 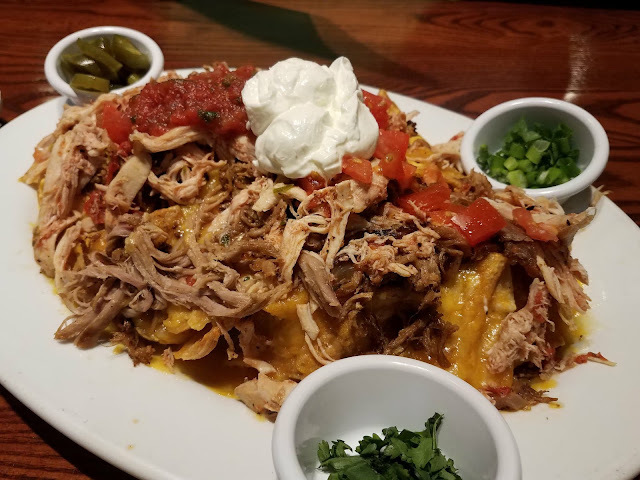 For our appetizer we enjoyed a heaping plate of nachos called Magnacho. 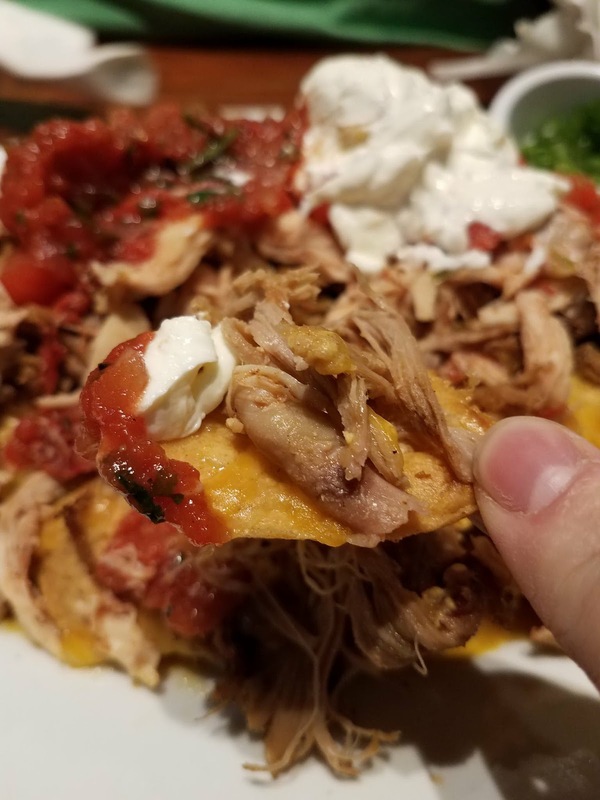 It is an unbelievably ginormous plate of nachos covered in double cheddar jack cheese, pulled roasted chicken, and house smoked pulled pork. A server that was not even our own suggested that we try the KC BBQ sauce on the nachos which added a sweet hickory smoked molasses flavor that I lived for! The pulled chicken and smoked pork had amazing flavor and were incredibly juicy and tender. These Magnachos are huge and next time we will have to take the kids along to help devour the enormous plate. We loved the perfect amount of the smokey flavor that the pork had. I'd say it was the perfect plate of nachos with all the layers of toppings, it blew our minds! 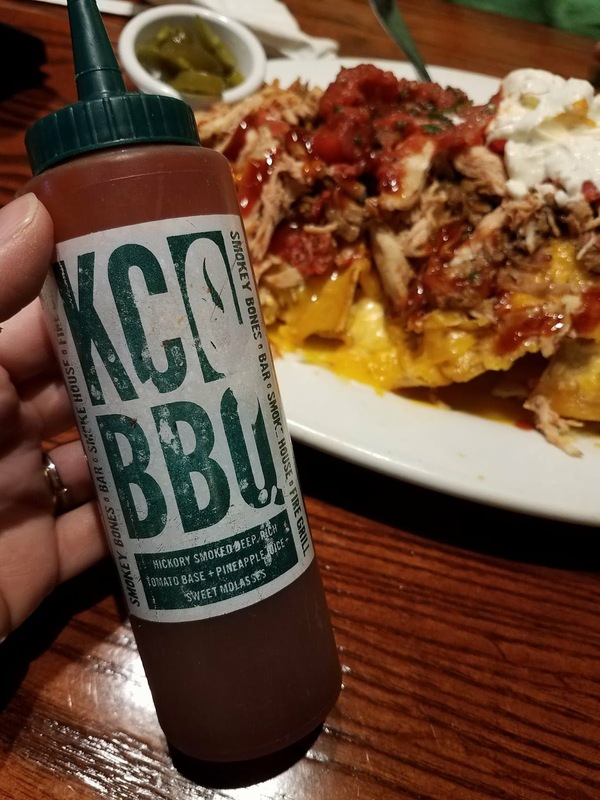 Be sure to find a Smokey Bones near you and try these out. Let me know what you think!